Family violence is more likely to occur in couples with children, often commencing in pregnancy, which means children may be exposed to physical harm from a very young age. It has been estimated that about one third of pregnant women are affected by domestic violence. Experts say that pregnancy can bring stress to a relationship, which is a trigger for an abusive partner. One in 6 abused women reports that her partner first abused her during pregnancy, and according to the Centers for Disease Control, at least 4 to 8 percent of pregnant women report suffering abuse during pregnancy. The situation isn’t likely to get better once the baby is born. At that point, the child often becomes another victim in the cycle of violence. Research shows that child abuse occurs in anywhere from one-third to more than three-quarters of families in which a partner is also being abused. This is likely to include significant psychological harm which affects a child’s social and intellectual development. The children who are most at risk for carrying domestic violence into the next generation are those that are affected by it during the first years of life. In one study, researchers from the University of Minnesota tracked 168 children born to mothers identified as high-risk for domestic violence. The study began during the mothers’ pregnancies and followed their children through their mid-20’s. 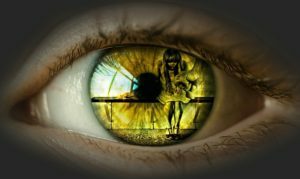 It turned out that exposure to domestic violence in the first five years of life directly predicted involvement in a violent relationship at age 23, either as a victim or a perpetrator. 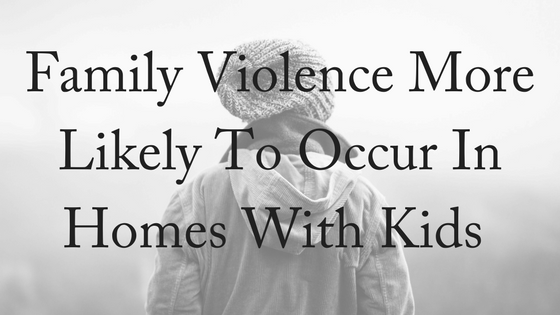 In contrast, children who were only exposed to domestic violence in middle childhood (ages 6-8) appeared to be more resilient and were not at greater risk for violence in young adulthood. 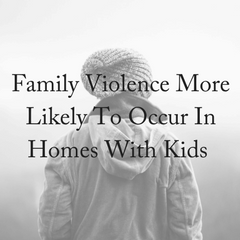 The Australian Institute of Family Studies report Children’s exposure to domestic and family violence, draws on local and international research to examine the effects on children raised in abusive households. The Australian Human Rights Commission released a report on Monday that found up to five children in every classroom had experienced or witnessed family violence. Children do not experience violence in the same way as adults. Children are not resilient – they can develop resilience but part of their survival mechanism is to be highly receptive and adaptive to their environment. Their brains are what is called “malleable” which means the brain is shaped by experience. 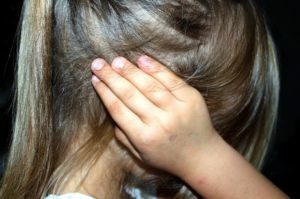 In families where children are exposed to violence from a very young age, for example before they are able to talk, the effects of family violence might mean they are unable to develop a sense of safety and well-being because their brain is developing neural pathways to respond to an environment of fear. Even where one parent acts protectively towards the children, if there is family violence in the home then children are also victims. Children who witness abuse are abused themselves and will need extra support and care to reach their full potential. When Is Family Violence Most Likely To Occur? Family violence, neglect and physical and emotional harm accounts for the majority of all abuse suffered by children. Where family violence is a feature of a couple’s relationship it cannot separated from parenting – it is a feature of their parenting and will influence the type of person that child will become. One of the saddest outcomes is that children who witness domestic violence grow up to have a greater risk of living in violent relationships themselves, whether as victims or as perpetrators. Without more awareness of this problem and help for these families, the burden of domestic violence will continue to be passed from one generation to the next. If you’re in an abusive relationship, the following services may help. If you’d like to exit your relationship and need an expert family lawyer, contact us today for your free, 10-minute phone consultation.